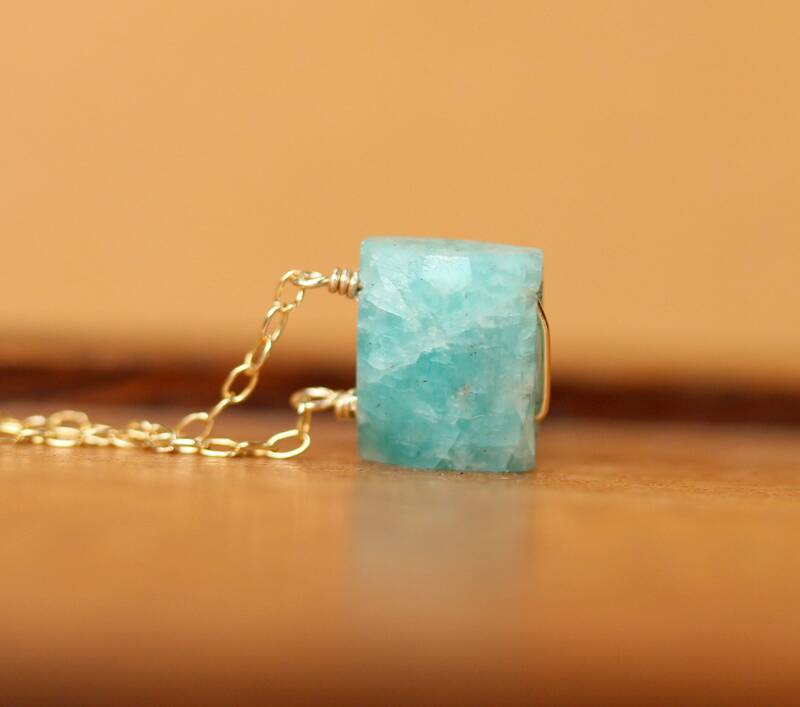 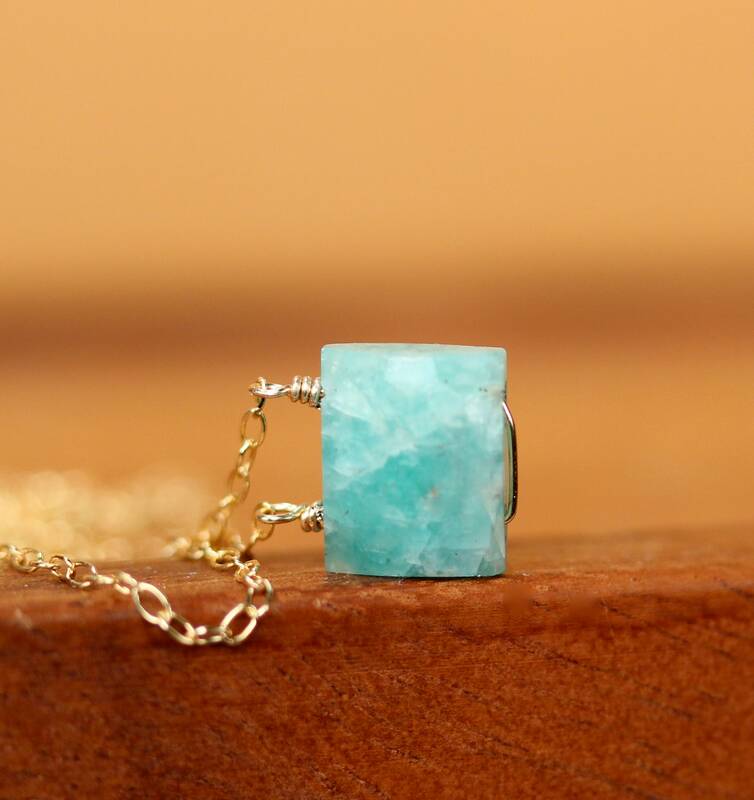 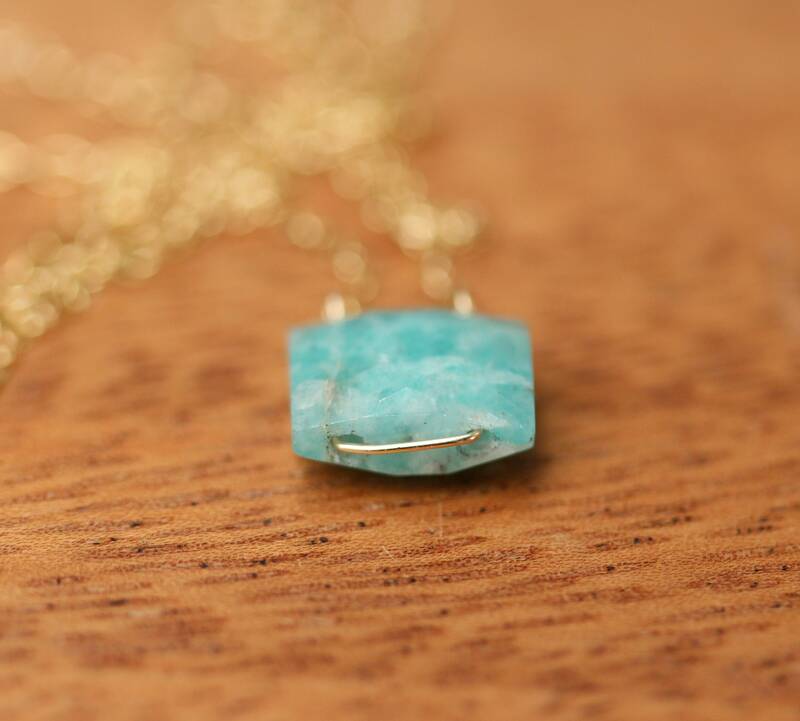 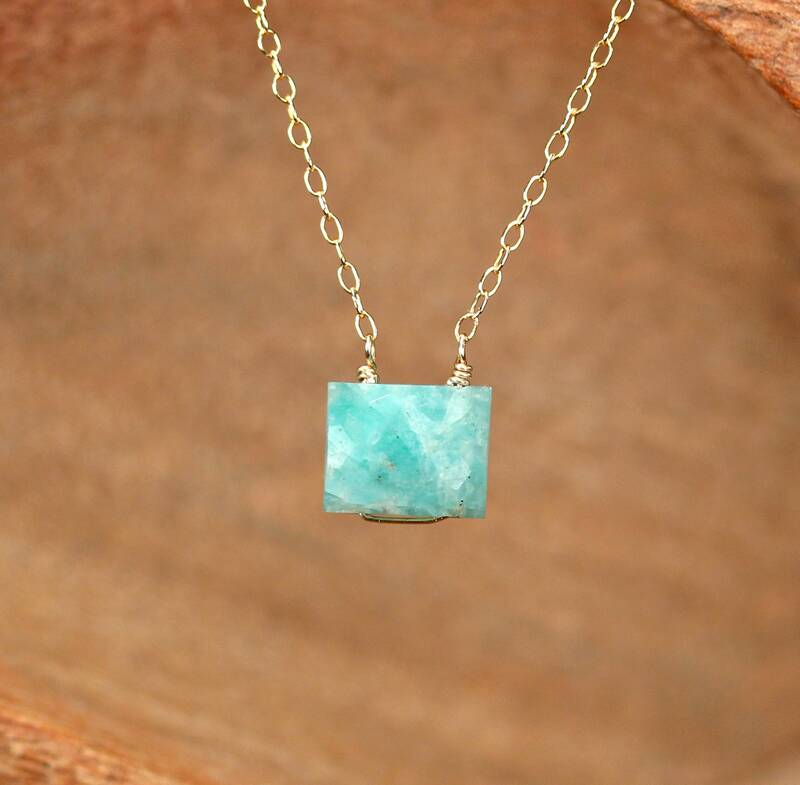 A one of a kind faceted amazonite stone is wire wrapped onto a 14k gold vermeil or sterling silver chain in the length of your choice! 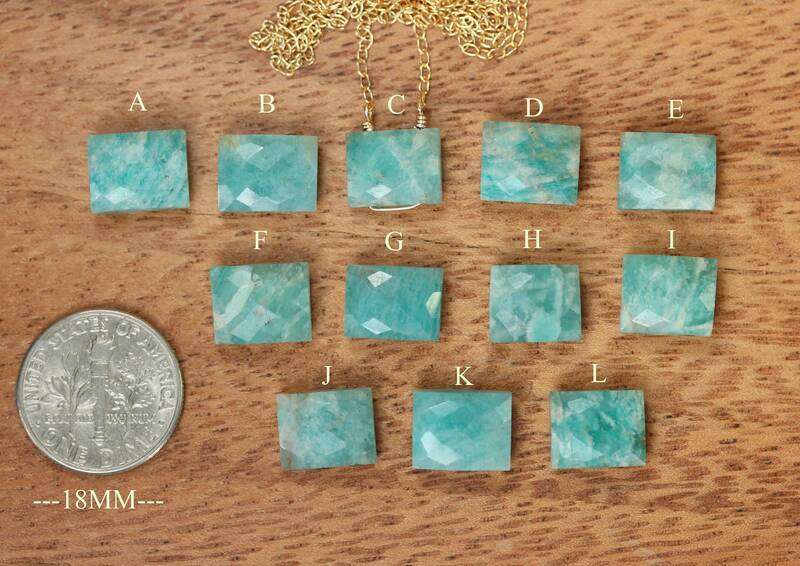 Please choose your favorite gem as shown in the fourth photo. 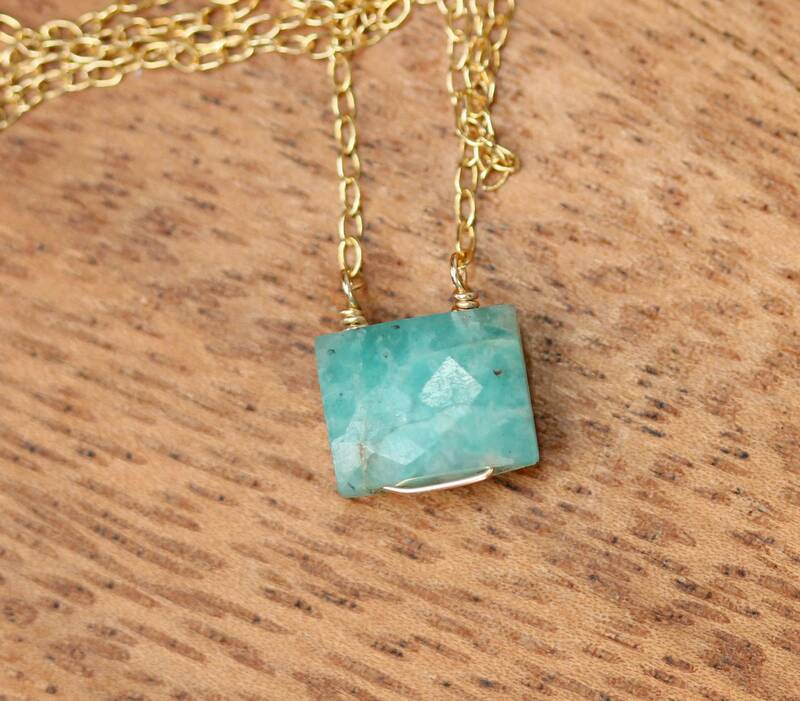 Need a few reasons to love amazonite other than for its beauty?